It is a good idea to monitor the health of your septic tank because you need to make sure you schedule routine maintenance. However, you should also watch for other signs of needed septic tank repair. With a septic tank, fixing smaller issues over time can save you a lot of money by avoiding more costly, larger repairs. 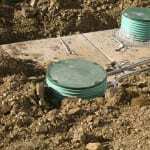 There are several signs you can look out for to monitor your septic tank. Smell: If you notice odors coming from the area around your septic tank, this is a sign of problems. Drains: Slow drains are another sign that you may need septic tank repair. Sound: Bubbling or gurgling sounds are another indictor of needed repairs. Backup: If liquid or solid waste begins to back up in drains, this is a serious sign that your septic tank needs repair and you should call a repair company right away. Keep an eye out for these signs that you need to fix your septic tank. Jumping on these problems early is an important way to keep your septic tank running. 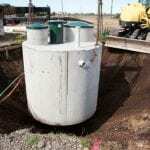 There are also several things you can do along the way to keep your septic tank functioning. Water Flow: As you decrease water consumption, your septic tank will stay healthy and need to be cleaned less frequently. This means fixing leaky toilets and faucets and doing laundry in fewer batches over several days to avoid overloading the system with water. Add Bacteria: You can also ensure that there are bacteria to help process waste. You can add bacteria to you tank yourself. These tips will help you minimize the need for septic tank repair at your home. However, when you do need repair services, call a professional to help you!